12-panel fuse welded construction for optimal touch. Nike RaDaR employs visual science to assist with on-field tracking. Nike Aerowtrac groove help deliver true flight. Textured casing provides a strong grip for excellent touch and feel. 6-wing, carbon-latex air chamber provides explosive acceleration off of the foot and superior air retention. 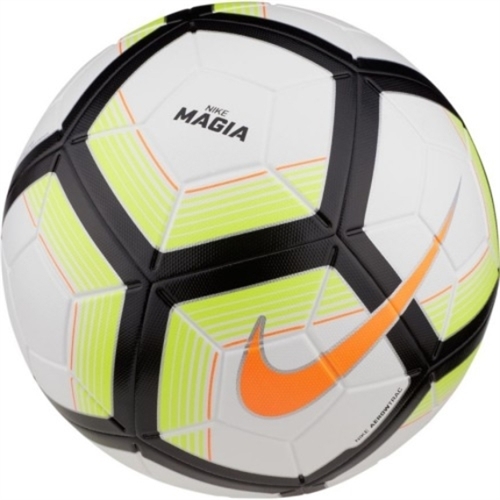 Our Nike Magia Soccer Ball is designed for a consistent feel and easy visual tracking, featuring a textured surface and contrast power graphic.